Here are the seven must-read, must-watch auto news stories, recalls and videos for Tuesday, November 17, 2015. Ahead of the Los Angeles Auto Show, Ford introduced a facelifted 2017 Escape with a new front fascia, new technology, and new engines. The Escape’s new 2.0L turbo is said to be more powerful and efficient, a 1.5L turbo – like the 2.0L – features stop-start tech, and Ford also debuted SYNC Connect, which will enable owners to start the vehicle, unlock the vehicle, and check other things on the vehicle from a remote location. 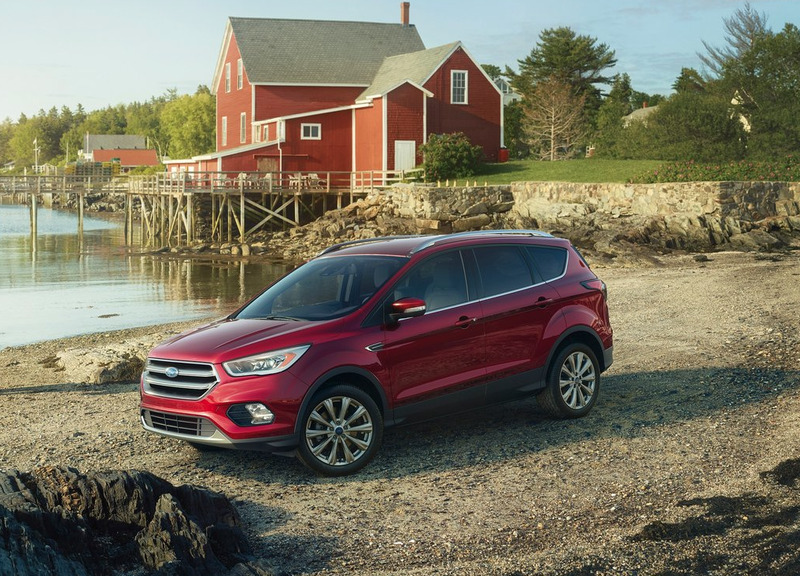 The Escape is Canada’s top-selling SUV; America’s second-best-selling SUV. The 2017 Volkswagen Beetle Dune won’t save Volkswagen from its diesel emissions troubles, nor will it be a mainstream car. But to Beetle enthusiasts, it’s likely everything they wanted the Beetle to already be. Toyota struck gold with the Prius. But with the auto industry increasingly earnings its keep with SUVs and crossovers, Kia is going to try to replicate the Prius’s success with a dedicated hybrid crossover, the Niro. Across much of the world, Volvo has not been struggling. But in North America, the brand’s sales fell so low some wondered whether its Chinese ownership would want to continue funding the North American operations. The XC90 is here now, however, and it’s selling very well, and Volvo thus appears to be on its way back. Scion is about to introduce a new crossover based on the Toyota C-HR Concept. Scion is already displaying signs of life because of the iM and iA. The C-HR could be just what the brand needs to regain the strength Scion displayed a decade ago. Americans couldn’t have the first-generation Smart Fortwo. The second Fortwo sold well at first but gradually waned. The third-generation is believed to be a dramatic improvement. Here’s Alex Dykes’ Alex On Autos review, the most detailed and thorough on YouTube.